Located on world-famous Seven Mile Beach, Idle Awhile’s The Beach is a boutique retreat of just eight rooms and eight suites. Guests can stroll in either direction and find cafes, bars and nightlife. 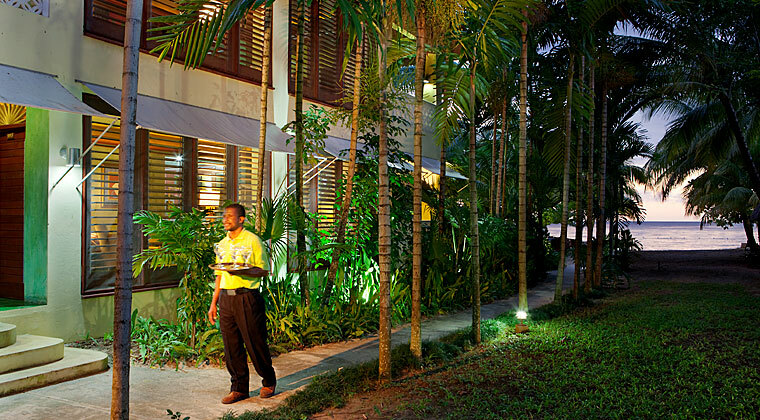 The hotel has a beach-chic ambiance with gracious staff and comfortable accommodations. For action a little further afield, we can arrange for a taxi to the town of Negril (eight minutes) or to the West End Cliffs (fifteen minutes), where you can find a variety of restaurants, bars and shopping. Negril is one hour's drive from Sangster International Airport, in Montego Bay.